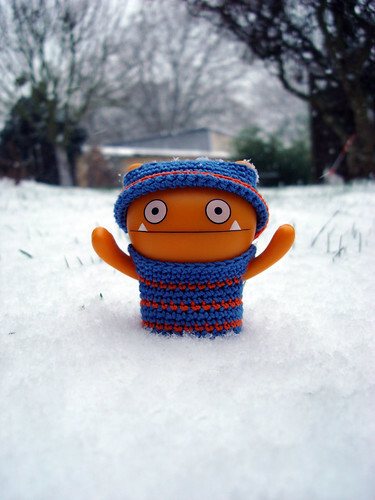 Uglyworld #233 - Wage's Winter Wonderland, originally uploaded by www.bazpics.com. Wage has been outside playing in the garden nearly all day, he says that he loves the snow so much as it's so cold and white and fluffy under his feet. He only came in for lunch and dinner when we shouted on him for about the 200th time, and then went straight back out again once he finished eating....he sure does love playing in the snow! I like this posting.But adding more information will make this site more informative. Only for human no spam !! !